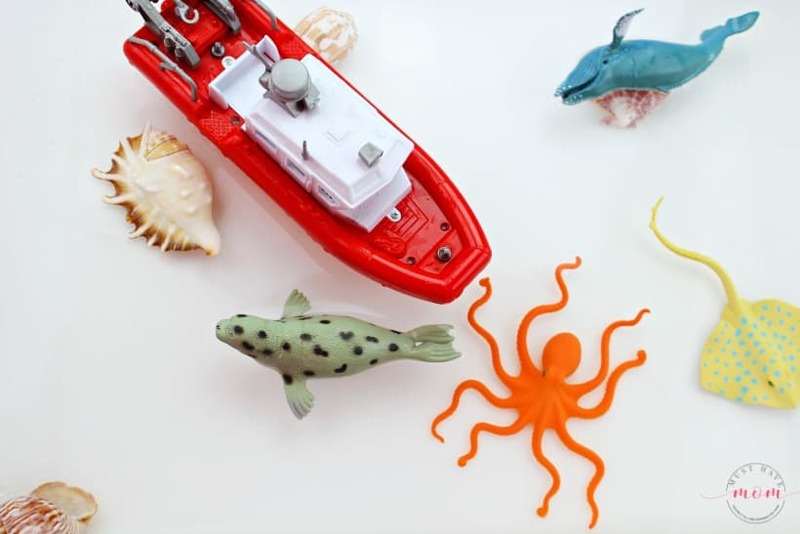 Teach your kids how pollution effects ocean animals and the water quality with this ocean pollution sensory bin activity. 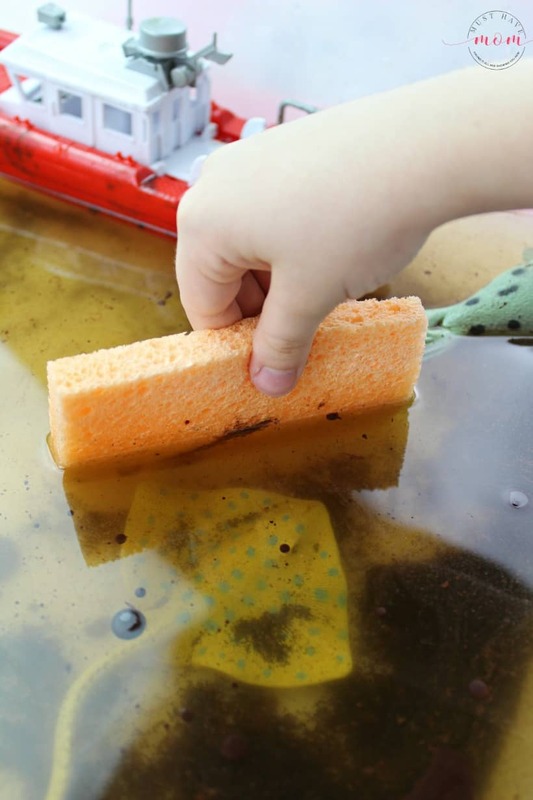 Kids can see the water become polluted before their eyes and participate in the clean up too! Teaching kids how their actions can effect an entire ecosystem is an important first step in teaching them to be good stewards and care for the world we live in. 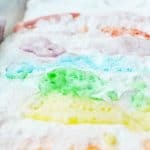 This sensory bin activity is progressive in that the water starts out clean and becomes more and more polluted. At the end kids can see how the pollution makes the water icky and dirty and then they can participate in the clean up! 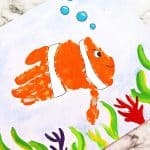 We are doing a week of ocean-themed activities and so far we have made a frozen ocean sensory bin and clownfish handprint painting. Be sure to check it out if you missed it! 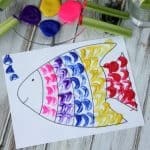 If you sign up for my summer camp at home email list you’ll get all of the ocean-themed activities and free printables delivered to your inbox before they go live here! Fill your sensory table or large plastic bin/tub halfway with water. Take a sample of the clean water by filling a small glass or plastic bottle with a lid and then set aside for later. 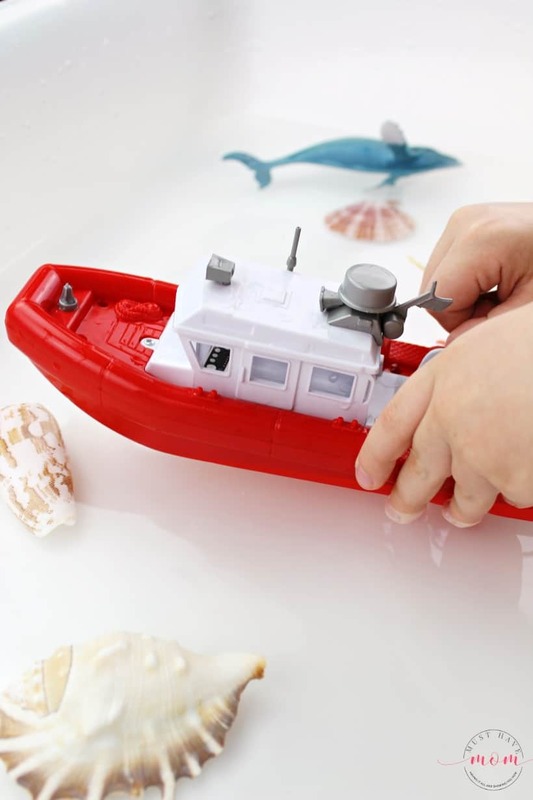 Add plastic ocean animals, seashells and a plastic toy boat to the water. Let your children play in the clean water and have fun! Mix a bit of cocoa powder and vegetable oil in a bowl. 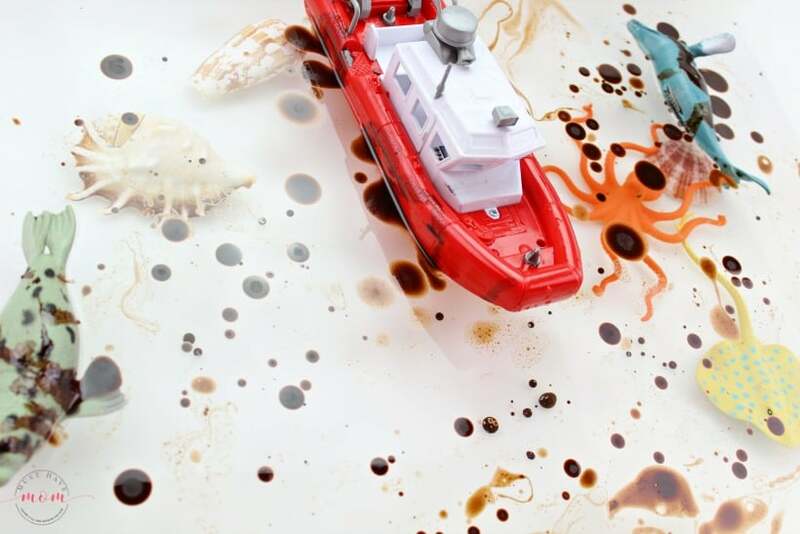 Dribble the oil into the water, on the boat and on the animals. Let your child examine what has happened to the water. It’s no longer as clear or clean. 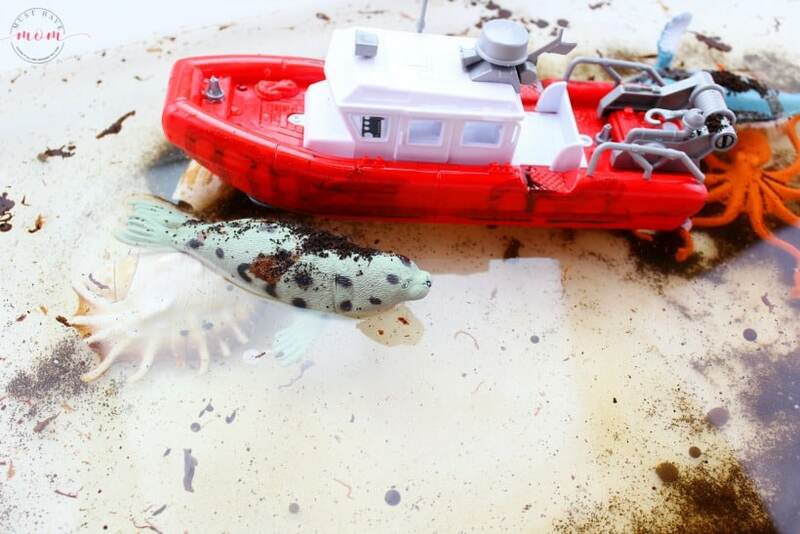 Discuss what happens when oil spills into our oceans. Drop a few spoonfuls of coffee grounds into the water. Now it’s really starting to get gross! The water color is stained and it’s become quite cloudy. Shred plastic shopping bags. Add the plastic to the water and stir it around. The plastic has really polluted the water. It’s around the animals necks, arms and legs. 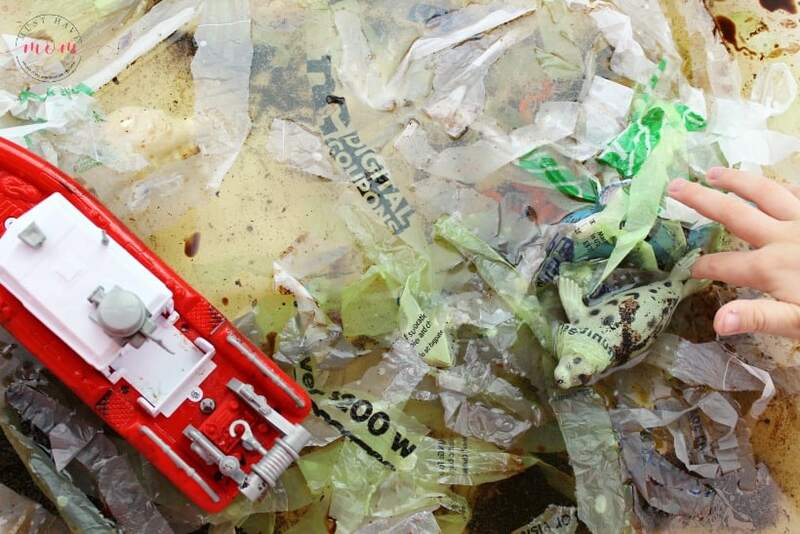 Discuss what happens when an animal gets stuck in plastic waste. 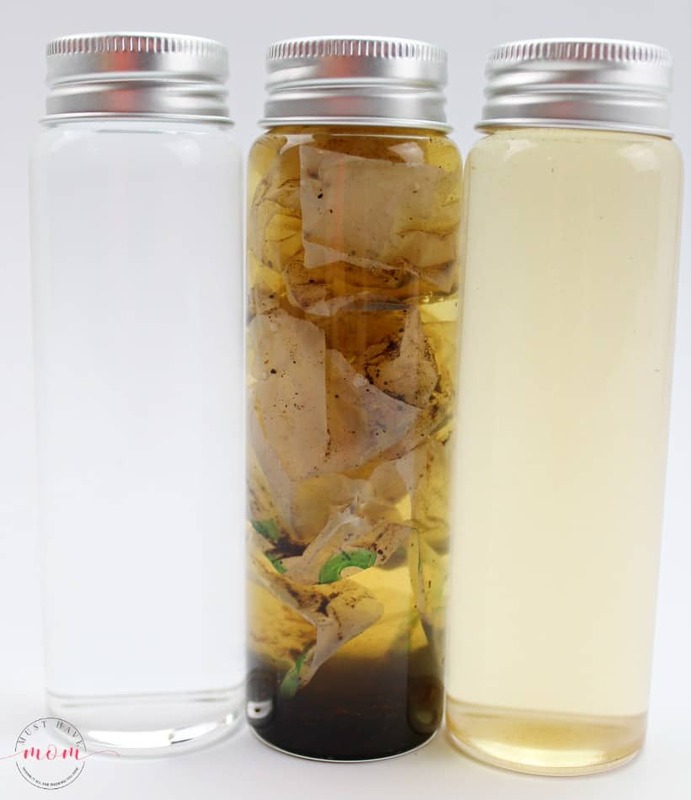 Take a sample of the polluted water by filling a small glass or plastic bottle with a lid and set aside for later. 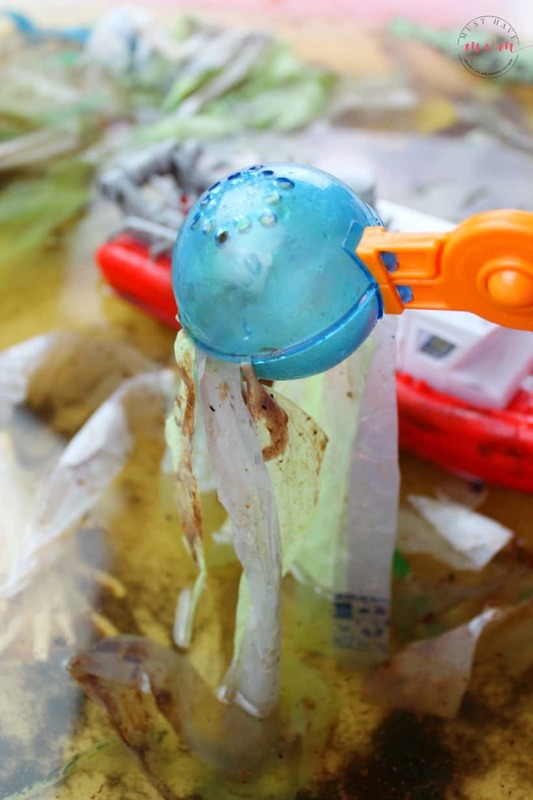 Use plastic tweezers or scoops to remove the plastic from the water. 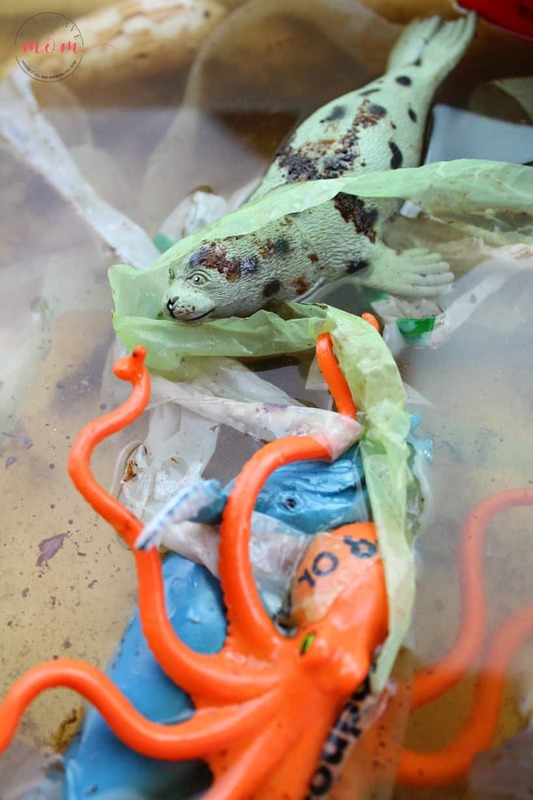 Untangle any plastic from the animals. 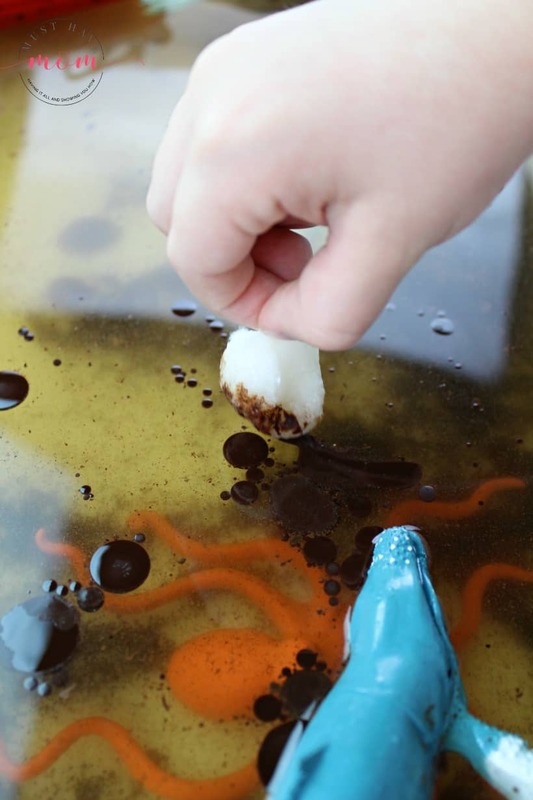 Use cotton balls and sponges to try and absorb the oil that has spilled into the water. Stuff a coffee filter into the top of a small glass or plastic bottle. Filter some of the polluted water through the bottle. Remove the coffee filter and put the lid on the bottle. Place the clean ocean water sample, the polluted sample and the sample after you attempted to clean the water side by side. 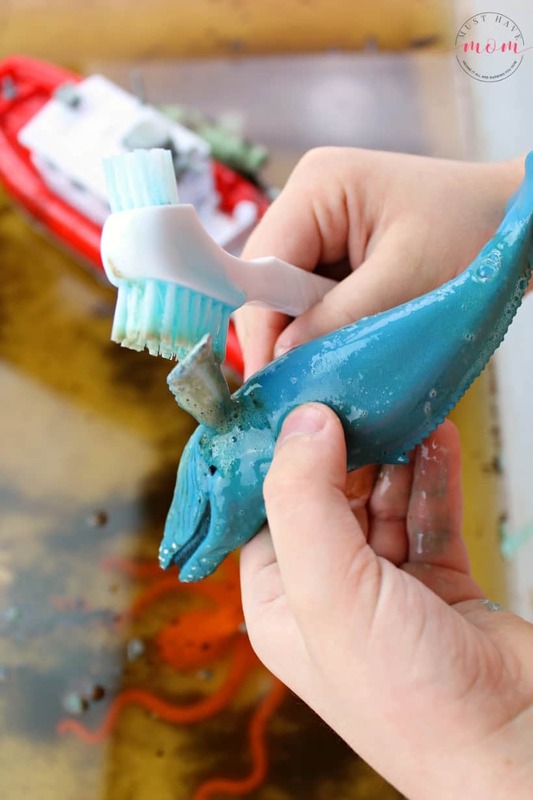 This helps teach children that pollution has devastating effects. Discuss ways you can protect the ocean from harmful pollution. 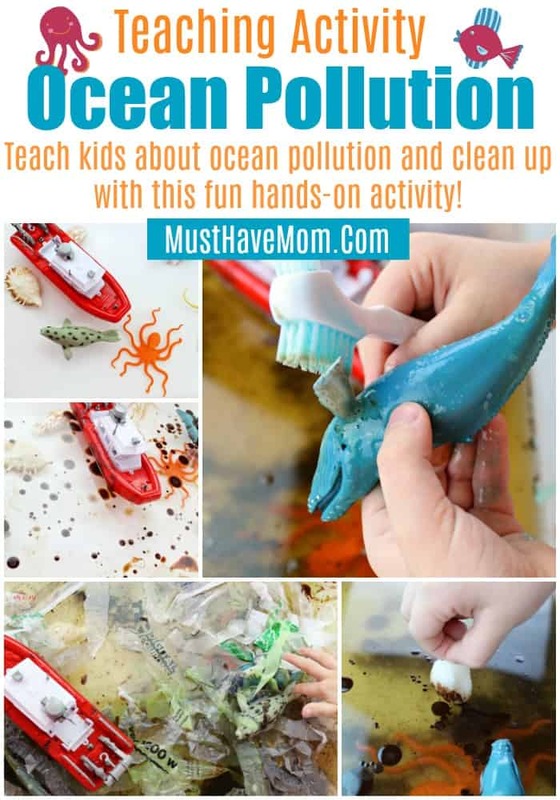 This ocean pollution sensory bin activity pairs well with the book, “Pesky Plastic” which you can grab on Amazon. 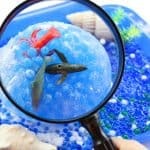 Use the story and the sensory bin together to teach kids all about pollution and the impact it has on the ocean and it’s animals.